Sleek and trendy with intriguing color. 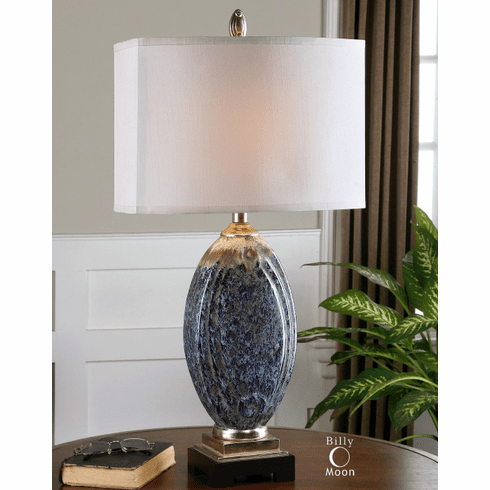 This Lamp Has Mottled Blue Glaze, Rust Distressing And Aged Ivory Drip With Silver Champagne Details. The Rectangle Hardback, Front And Back Convex Shade Is A Silken Off White Fabric with Natural Slubbing.